Let me use this opportunity, on behalf of myself, Beegeagle’s Bloggers and all appreciative Nigerians to again say a big ‘kudos’ to all Nigerian defence and security personnel who risked life and limb to keep Northern Nigeria safe for the recent Eid-el-Fitr revelry. The massive security operations entailed in the worship services and festivities were indeed of mind-boggling dimensions and it was hugely successful. It was the case that after two days of festivities in a region with 90 million people and covering a land area as vast as as Germany,Italy,Holland and Belgium (OR Ghana+Coted’Ivoire+Benin+Togo)put together, not ONE episode of mass murder, suicide bombing or such acts of terror, was recorded. It is easy for anyone from anywhere to run their mouths based on their personal expectations or by factoring their permutations based on the three-dove pigeon hole where they operate from but savvy Nigerians know the enormity of the daunting task which the security operations presented. A real logistical nightmare entailed. we shall overcome. Thank you very much. This entry was posted in Uncategorized and tagged Boko Haram, COUNTERINSURGENCY OPERATIONS, DEFENCE AND SECURITY NEWS, GEOPOLITICS AND STRATEGIC STUDIES, JOINT SECURITY TASK FORCE - OPERATION RESTORE ORDER, NIGERIAN AIR FORCE, NIGERIAN ARMED FORCES, NIGERIAN ARMY, NIGERIAN MILITARY HISTORY, NIGERIAN NAVY, NIGERIAN SPECIAL FORCES, OTOKAR COBRA APC, PANHARD VBL M11, STATE SECURITY SERVICE, TERRORISM, URBAN GUERRILLA WARFARE. Bookmark the permalink. Mean-a-whiler, see gun..my papa :). SSS sabi thrill me abeg. these guys have really tried to contain a situation they never prepared for in just 2 years. By the way, this if for Beegeagle’s Bloggers who update Wikipedia pages. 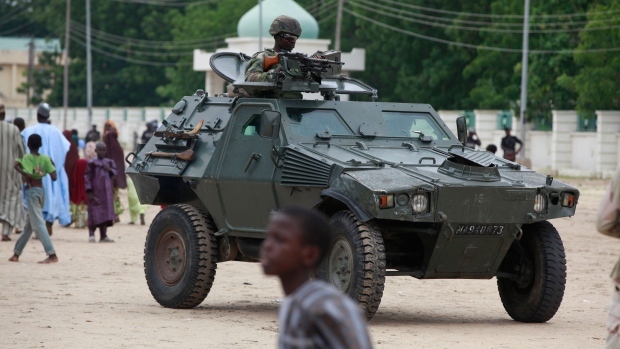 HOW COME it is that with the extensive deployment of the Otokar Cobra APC and the Panhard VBL M11 for combat operations in northern Nigeria, they are not listed among the places where they have been deployed in combat? The Panhard Sagaie AFV has been in combat operations in the same theatre. Why is this not documented? How come, Nigeria flew nearly 3,000 sorties using the Alpha Jet, a first by any country, yet it is not chronicled on Wikipedia? 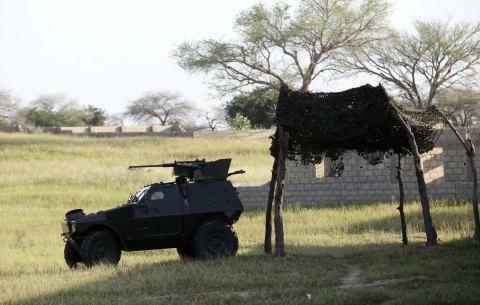 They are currently being used in NE Nigeria for combat operations and this is chronicled in the dailies. Gentlemen, let us close these gaps swiftly. We need to end this trend of being shortchanged in world military history. Whatever bit that we do needs to be chronicled for the sake of those who made the sacrifices. During the defunct SADF’s COIN operations in Southern Africa, they defined the combat deployment of the Aermacchi MB 326, licensed produced as the Impala. That is precisely what the NAF have done with the Alpha Jet. It needs to be trumpeted. It was the SADF which told the world what they did with the Impala Mk.II and the Eland AFV (their license-produced variant of the Panhard AML 90). Wow, very swift. Thank you, my Commander. SSS, they never fail to impress. guys are the sharp end of the spear. great job. Yeah I know tis a Tav, OptimusPrime. They also field the F2000. Anyhow, their weapons never fail to impress. Hope they keep it up. No kidding. They were ready. Dis wan nuh be say magana. Boko refused to show up for the standoff on the day..
@Oga Eyimola. No problem. Anything you need to have cleared up – let’s do this. Photos or data, I am game. I do not see the Shilka in our logs. No Stormer APCs (our variant is the export model – the Spartan). Our 152mm guns not listed. 130mm guns under-enumerated. Ditto the APR 21/BM 21 122mm rocket arty. Got all the data and/or photos in the blog archives. Any headsup needed, alert me one-two, one-two. Thankfully, we have the precise titles of the archival materiel from which the A-Jet sorties thing emanated. So we have credibility on our side. Researchers can pick it up from there and the veracity of the materials is impeccable. I would also want us to update the campaigns which the Armed Forces have been involved in to include the Malian Insurgency (we have the photos and know the sectors where they were deployed), the Cameroon Insurgency and the Liberian Civil War (we even have photos of artillerymen shelling). For Sierra Leone, do we need any links or photos? Got them aplenty…a documented account of the Battle of Freetown, battlefield accounts from Port Loko, Lungi, Bo – everywhere around that country. 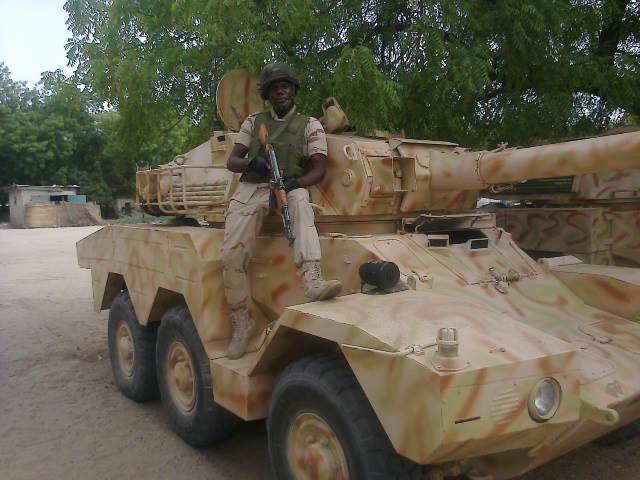 kudos to the NA, it was reported that with the enormous cash to refurbish our MBTs, IFVs and APCs, our brothers from the east assisted with major repairs prior to NADCEL 2013. Tyres and other accessories were imported from Italy and other countries. If u re thinking most of the NA assets are outdated and no longer functioning then u must be sleeping. DEY BOKU FOR GROUND BEGGING FOR DEPLOYMENT. Long live Nigerian Armed Forces…as the NA motto says, “victory…” indeed “comes from God alone.” He will continue to grant it. Viva Africa! The one thing I am very happy to see that it appears finally we are beginning not only a maintenance culture grab hold with long tentacles across all six divisions but slowly we are beginning a procurement reality grab hold of our collective mentality. I am thankful and really grateful for what is transpiring that we are actually seeing procurement from proforce this is very no extremely good news. 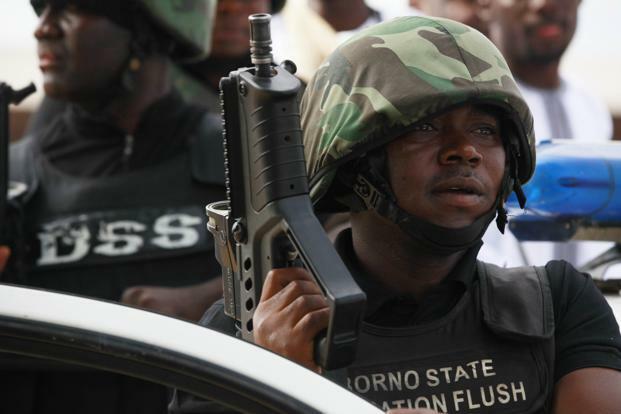 The recent success of the armed forces/ dss/ and the secret services needs to be commended. i have waited a long time to comment because i truly wanted to get a picture of what the average mohammed/ sheu on the street is saying.I have personally seen videos of females being searched/ captured and this to me in highly conservative North is the turning point. The procurement can not be allowed to stop we need a dual fighter jet that can transverse from the outer fringes of NIGERIA @ the border towns or Chad/ Cameroon and even land in Niger all the way from LAGOS OR CALABAR without refuelling drop its payload on those b——s and make it’s way back this will convince them there no 72 virgins . May God bless Nigeria ALWAYS AMEN!!! as the Queen’s Own Nigerian Regiment –QONR) intervened to create a buffer zone and to secure the UN Trust Territory of British Southern Cameroons which was at the time administered in association with and as part of the Colony and Protectorate of Nigeria by the British. Cameroons for “Training”. However, ‘Union des Populations Camerounaises’(UPC)sympathizers in Bamenda viewed this as a counter-insurgency deployment in support of the hated French colonial administration. south to Kumba near the coast. The 5QONR and 3QONR later replaced both battalions respectively – followed later by the 2QONR. British rule as a trusteeship territory, asked Nigerian troops to leave. A British Battalion replaced them. frontier to prevent spill-over of violence. Posts were constructed along it for clarity. PS: Note also that Nigeria have used C130s in support of combat deployments in Liberia, Sierra Leone, N.E Nigeria and Mali. Back to you, Oga Eyimola. You can see examples from the Niger Delta (that even has AFP embossed on the photo, so the credibility is not in doubt) and the Northeast above. 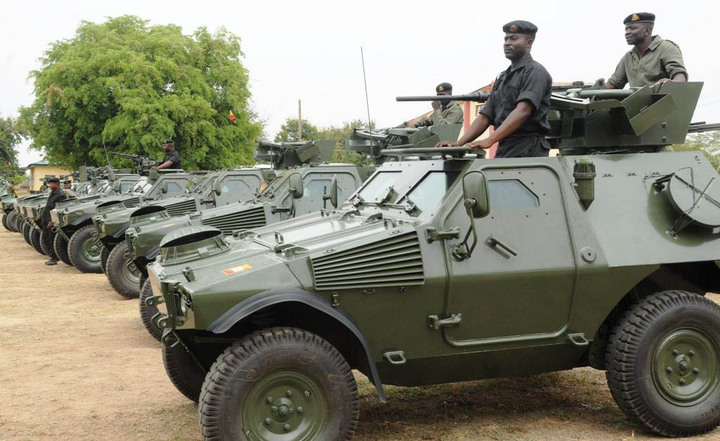 Nigerian Navy own 21 units of 17 metre Manta ASD Mk.II Littoral Interceptors. I will put some pics up when Wikipedia allow me to post pictures. We shall come to that, Gen Eyimola. First off, can we address the institutional name? We appear to be writing “Nigeria Army” instead of “NIGERIAN Army”. Please let us amend this on all writeups, sir, for the sake of precision. It is of fundamental importance. 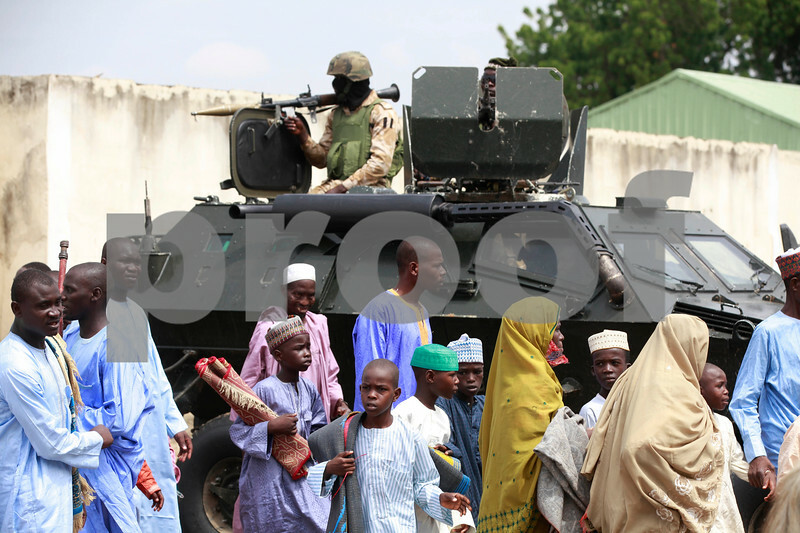 We only have one Army – the “NIGERIAN ARMY”. For one, I would pass over a writeup which says “India Army” instead of “INDIAN Army” ; or “Canada Army” instead of “CANADIAN Army” in the conviction that the entire article itself might be fraught with errors. And there are many people like that. It was for that reason alone that the “Nigeria Army” Facebook presence was to me, at once an unofficial presentation. That is how profound the impact of nomenclature can sometimes be. Please amend accordingly on the Otokar Cobra, Panhard VBL and Browning M2 HMG pages as well, Oga. Many thanks for the heroic effort. Note also that it is also decidedly the “NIGERIAN Navy” and “NIGERIAN Air Force” ; not Nigeria Navy or Nigeria Air Force which do not exist in our statute books. Thank you so much for the time and exertion on behalf of all compatriots…except Sahara Reporters and Premium Times :). You are doing stellar work out there. These things matter and I do not know why DMI are not looking at it that way. Hundreds of millions of people visit WIKI weekly. 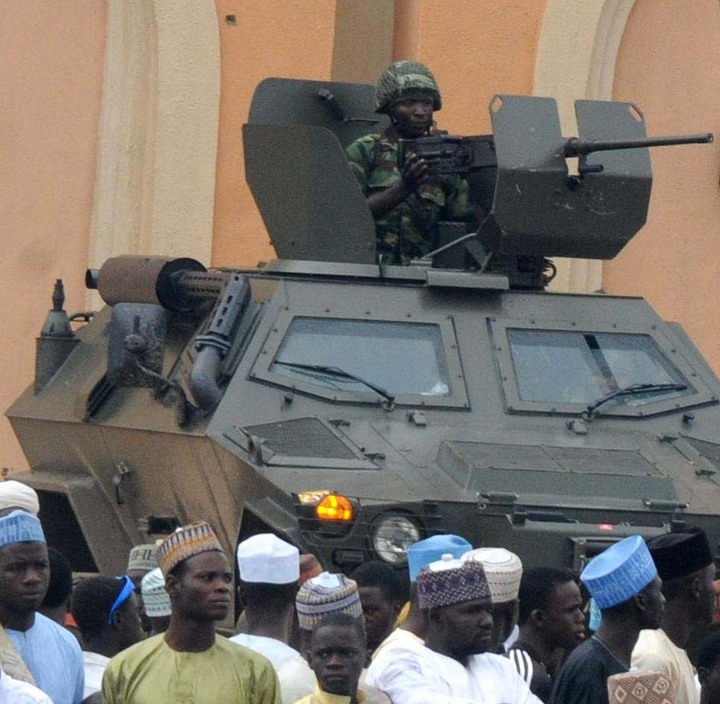 Imagine searching for APCs and surprisingly finding a Made-in-Nigeria APC and ship. That could generate inquiries and open doors to commercial and technical partnerships for the Andoni class ships and Igirigi APCs! The simple but important things which we as Nigerians tend to overlook all too often. yeah its the stupid wizard I used. Having said that, I must point out that the usage is correct because the name of the organisation abbreviated as NA is Nigeria Army. This is a noun, and was my intended usage The colloquial usage Nigerian Army is an adjective which is also correct. It would be incorrect to say France or India Army because neither organisation is called that. They are called ‘Armée de Terre’ and ‘Bhāratīya Thalasēnā’ respectively. This is especially obvious when you say ‘US army’. In all examples, this is always a noun. That is not in doubt and for sure, this is not an issue of value judgements. I mean, it would be funny to write about a “Nigerian Defence Forces” just because that is what they do – defend the nation. The idea may be right but that is not the given institutional name. That is just the point I am making. We have a Nigeria Police Force, Nigeria Immigration Service, Nigeria Security and Civil Defence Corps, Nigeria Customs Service. Even on this blog, I do not mix them up – such as saying “Nigerian Police Force” because that is not their given organisational name.